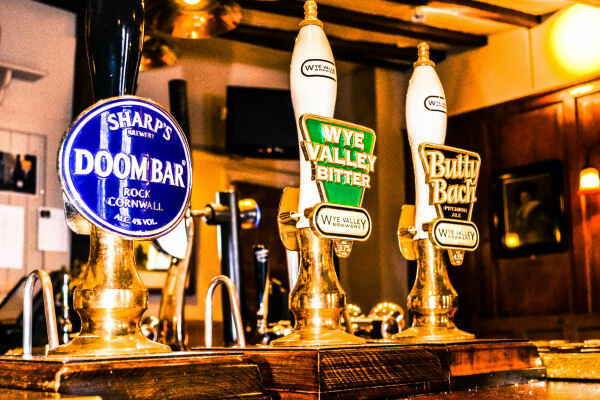 The King’s Bar, offers three hand pulled traditional real ales and is CAMRA and The Good Pub Guide recommended. 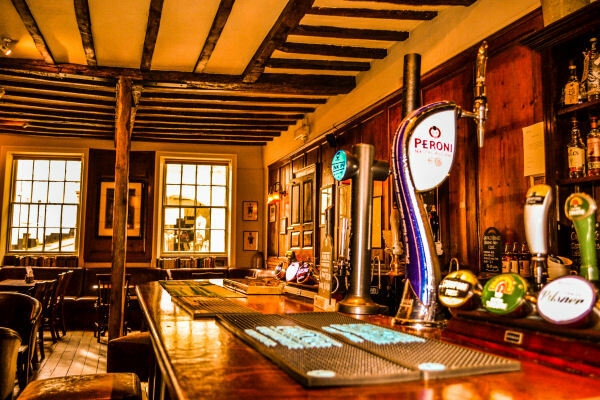 A popular destination for both locals and travellers to meet, the King’s Bar has a traditional old Inn atmosphere. We do not have any fruit machines or jukebox; piped music is discreetly played to aid the ambiance. 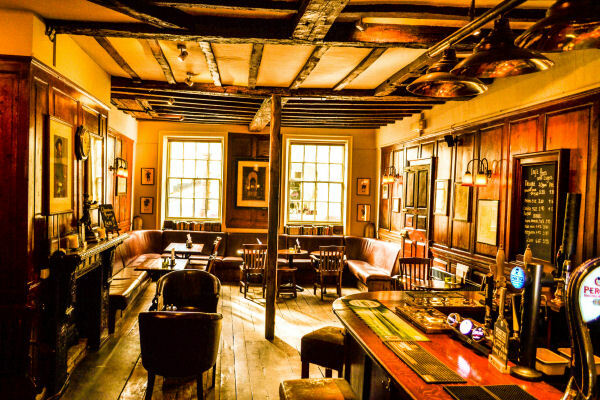 The bar has an impressive oak beamed ceiling, original wooden floor and comfortable leather and wooden seating. 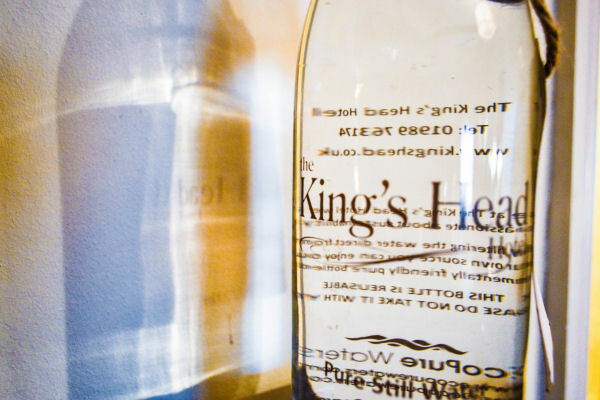 A full range of single malts, spirits and liqueurs are served; wine is available by the glass or bottle and we have a small list of freshly made classic cocktails. We also offer a small range of home-made bar bites. Evening meals can be served in the King’s Bar but not usually at the weekend. 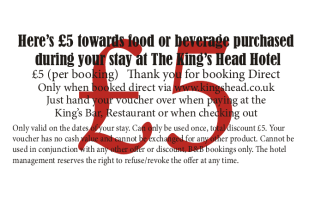 The King's Head operates standard licensing hours.